I wanted to share a small utility that I wrote a while ago, allowing you to run a non-interactive ‘ping’ to a tcp port (e.g. from within a script). This could for example allow you to bring up a VPN tunnel from a script (by generating traffic to a target host), to determine whether a tcp port is open or not and so on… I’m sure all of you are creative enough to see the wide range of possibilities and applications for this utility. The tool is a command-line utility, should run on Windows 32bit and 64bit, and requires .Net framework 2.0. Both the  and  parameters are mandatory. Set this parameter to 0 to launch a continuous ping. As you can see, there are 3 possible parameters. The target host and target port number are mandatory, the number of pings is optional. If you don’t specify a number of pings, then 4 pings will be performed. [+] Probing host www.google.com on port tcp/80 - Connect OK - 84ms. [+] Probing host www.google.com on port tcp/80 - Connect OK - 17ms. [+] Probing host www.google.com on port tcp/80 - Connect OK - 19ms. [+] Probing host www.google.com on port tcp/80 - Connect OK - 18ms. [+] Probing host 192.168.0.116 on port tcp/22 - Connect OK - 30ms. [+] Probing host 192.168.0.116 on port tcp/22 - Connect OK - 0ms. The statistics at the end of the probe sequence may report an incorrect loss percentage. Note : before downloading the utility, you must be logged on to this blog. 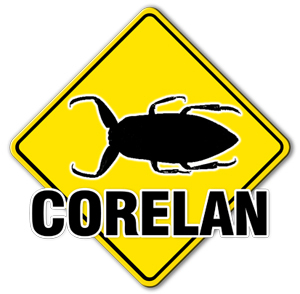 © 2008 – 2010, Corelan Team (corelanc0d3r). All rights reserved. the downloadlink isn’t aktive, only the message “download#11#image” displays. Please can you send me a link to the tool pvetcpping. Hi, great tool – I really like it. One question – I am getting some results of “0 ms” mixed in with 30’s and 40’s. I doubt the “0” is accurate so I assume there is a minimal resonse threshold that is accurately reported. I’ve seen exactly that with other similar utilities as well… anything under 16ms for example is just reported as zero. do you know what is the lowest time in ms that will be accurately reported? [+] Probing host http://www.corelan.be on port tcp/8800 – Connect OK – 114ms. [+] Probing host http://www.corelan.be on port tcp/8800 – Connect OK – 2ms. [+] Probing host http://www.corelan.be on port tcp/8800 – Connect OK – 1ms. [+] Probing host http://www.corelan.be on port tcp/8800 – Connect OK – 4ms. I doubted it was a limitation in your code itself, but maybe there is an underlying limitation with the .Net stuff – how often it can get the cpu time or execution. I will be the first to tell you I don’t know enough to do more than ask silly questions so I will defer to you as the guru. I’ve tried it on several systems (PC’s and servers, XP, 2003, 32 & 64bit etc.) and get the same thing- never a result between 1-15 ms. Even when on the same Gb segment, 0 or 17+ and over the router where I expect 5-10 ms is the exact same results. Just curious, because what I really need to do immediately is quantify the latency through the firewall on 1433 is between 1-15ms. I can’t find anything that will do it. I like the tool and will keep it for use in other situations however!! !